1. Adventurers will have the opportunity to explore the ‘Chilean Fjords’ and ‘Central America’, as well as ‘Scotland, Ireland and the Northern Atlantic Islands’ with new itineraries that encourage active discovery of remote landing sites, community visits and a plethora of wildlife. 2. Following the success of the first ‘Fiddles and Sticks’ golf expedition cruise in Summer 2018, OOE anticipates another fantastic voyage with their inaugural ‘Scotland & Ireland Golf Expedition’ 5-12 June 2019. An opportunity to experience some of the world’s top courses from the comfort of RCGS Resolute, this unique voyage is a bucket list trip for any golfer. 3. OOE’s Photo Symposiums are every photographer’s dream. Departing 11 March 2019, the ‘Antarctic Peninsula Adventure’ featuring award-winning photographers Paul Zizka and Dave Brosha offers a fun, hands-on environment to hone skills. Famed photographer Daisy Gilardini will be returning for her photography symposium ‘Spitsbergen Encounter’ in the Norwegian High Arctic in June 2019. 4. Special guests scheduled to travel with OOE include RCGS Fellow, Explorer and Writer Adam Shoaltz; author as well as CEO of the Royal Canadian Geographical Society John Geiger, and scientist Jacqueline Windh. Many more renowned scientists, educators, researchers, naturalists, marine biologists and historians will be announced throughout the year. 5. 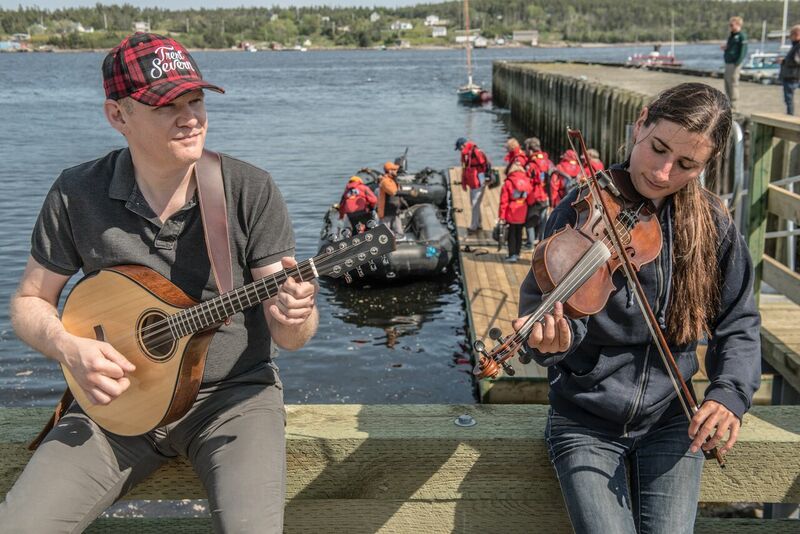 RCGS Resolute will embark on her first summer in Canada, beginning with ‘Fiddles and Sticks’ departing out of Cape Breton, Nova Scotia. After a successful Antarctic season, One Ocean Expeditions will be excited to welcome her back to Canadian waters where she was re-commissioned, joining the OOE fleet in October 2018. 6. OOE will be operating their inaugural voyage through South America with its ‘Chilean Fjords Adventure’ departing 31 March 2019. From isolated fjords, inlets and bays to the peaks of Torres del Paine, this incredible itinerary will offer the opportunity to visit a coastline nigh on impossible to reach by land. 7. Arctic exploration and arts and culture enthusiasts will have the opportunity to enjoy an expanded Arts program this summer, exploring the unique cultural heritage of the indigenous people of the Canadian Arctic. On the ‘South Baffin Explorer: Art, Culture & Wildlife’ voyage, passengers will travel alongside Dr. Nancy Campbell, Inuit art expert and guest curator with the McMichael Canadian Art Collection. Guests will have a once-in-a-lifetime opportunity to explore Cape Dorset, the ‘Capital of Inuit Art’. 8. OOE’s science endeavours are expanding with the addition of the ‘One Lab’, a specialised laboratory custom built with state-of-the-art equipment that was installed on RCGS Resolute in October 2018. 2019 will see two more specialised container laboratories fitted onto sister ships Akademik Ioffe and Akademik Sergey Vavilov. The One Lab provides an inclusive space for scientists to conduct work in real time in the isolated areas visited. 9. Continuing to expand science initiatives on board, the Ocean Wise Arctic dive team will be returning to the Canadian Arctic with OOE, documenting marine life in never before seen dive locations. Ocean Wise will also continue their work researching micro-plastics in the world’s most remote waters.